In the traditional client server authentication model, the client (website, mobile application) requests for a protected resource on the server, by authenticating with the server, using the resource owner’s credentials (username and password). To provide third-party applications access to restricted resources, the resource owner shares it credentials with the third-party. This way of communication and access has several problems. OAuth2.0 addresses these issues by introducing an authorization layer and separating role of the client from that of the resource owner. OAuth is an open standard for access delegation, commonly used as a way for internet users to grant applications access to the information on other websites but without giving them the passwords. OAuth provides to clients a “secured delegated access” to server resources on behalf of the resource owner. Instead of using the resource owner’s credentials to access protected resources, the client obtains an access token. Access tokens are issued to clients by an authorization server with the approval of the resource owner. The client uses the access token to access the protected resources hosted by the resource server. Used by companies such as Google, Facebook, Microsoft, Twitter to permit users to share information about their accounts with third party applications or websites. 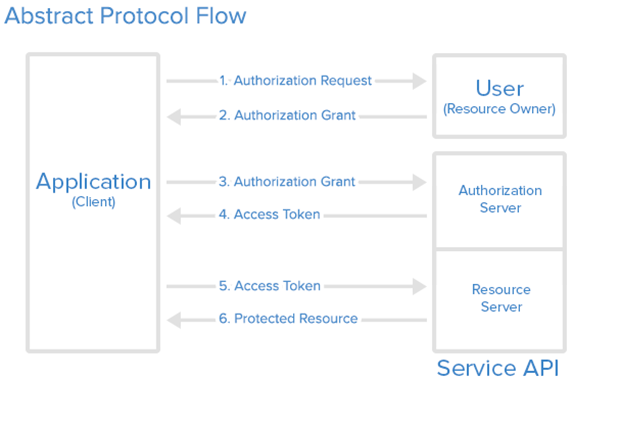 An authorization grant is a credential representing the resource owner’s authorization used by the client application to obtain an access token. OAuth 2.0 defines four grant types. OAuth2.0 focusses on providing client applications a “secured delegated access” to server resources, on behalf of the resource owner. It is a standard solution for delegation of authority between different applications. Can SAP ABAP use the 3rd method 3. Resource Owner Password Credentials: used with trusted Applications, such as those owned by the service itself ?